Whatever your ambitions, degree subject or stage of study the Careers Centre exists to help, advise and equip you to make the most of your skills, knowledge and experience and make a successful transition from your chosen programme of study; remember to view our "Publications" section in the Careers Information Library, especially for advice on "Job Search and Career Planning for International Students". to work for some time after their studies. ErasmusStudents with disabilities can find lots of useful information from AHEAD - Association for Higher Education Access & Disability if you are seeking opportunities of living and studying in European countries. 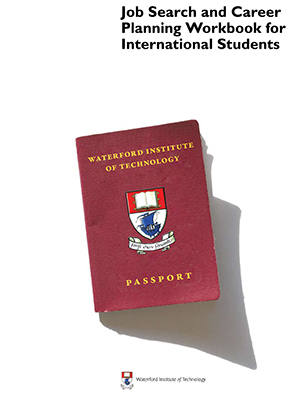 For more information on international study in WIT see the International section of this website.